Delivery by drone might not be in Amazon’s future if the FAA has anything to say about it. In the meantime, the e-commerce giant is turning to a much more accepted form of transportation – the trusty bicycle. Amazon is testing a new service called Amazon Prime Now in which they’re relying on bike messengers to put orders in the hands of buyers within an hour. The idea is to give customers the same sort of immediacy that they’d get from buying something in person at a local brick-and-mortar store. 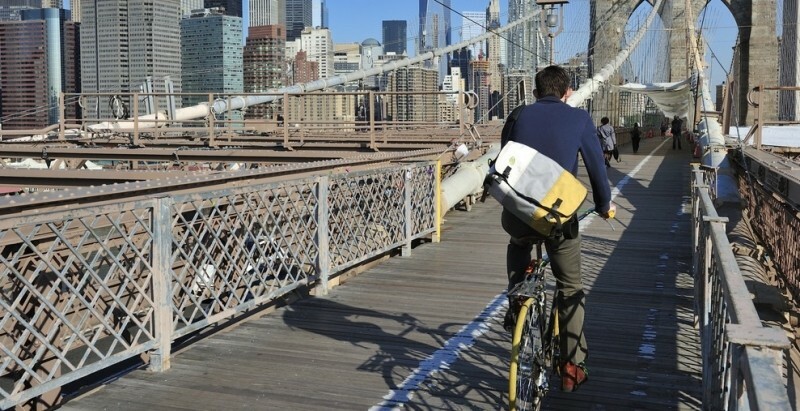 Sources tell The Wall Street Journal that Amazon has been conducting tests in New York City with three of the top bike messenger services. During the trials, bikers are given an address and told to travel there, snap a photo of the address then return to home base. That home base is reportedly located at West 34th Street near the Empire State Building. It’s the same office space that Amazon recently signed a 17-year lease for. Between deliveries, couriers are invited to hang out in Amazon’s posh clubhouse complete with foosball tables and an arcade. Messengers earn about $15 per hour and work 8-hour shifts (they also get to stay in shape, an added perk). No word yet on how much Amazon is planning to charge for the expedited service. Prime subscribers in select areas already have access to same day delivery which costs $5.99 per item so it’s probably safe to assume you’d pay a few bucks more to get it there within the hour.